Eighty-two senior softball teams ranging in age from 50 years to 75 plus will be visiting Barberton, Ohio in June to participate in a pair of Softball Players Association (SPA) national senior softball tournaments. SPA will be conducting both a 75 WORLD CHAMPIONSHIP (June 7,8,9,10)event along with THEE BUCKEYE CLASSIC (June 12,13,14, 15,16, 21,22,23,24) an annual senior tournament qualifier, at the BARBERTON SPORTS COMPLEX in June. The teams attending hail from thirteen different states plus Canada's Ontario province. Ohio has the largest delegation with 24 teams entered followed by Ontario (12) and Indiana (10). The Texas Greyhounds and Texans in the 75+ division are the long distance travelers with the Kansas City Antiques 75's, Carolina Cardinals 70's (Apex,N.C) and ProHealth Care 75's from Wisconsin also logging lots of miles. Other states represented are Michigan (7); New York (7); Pennsylvania (6); Kentucky (4); Illinois (3); Maryland (2) and New Jersey (2). Although THEE BUCKEYE CLASSIC has been around for over ten years this is the first time SPA has brought one of its WORLD CHAMPIONSHIPS north. The 75's WORLDS had previously been held in Dalton, Georgia. "The tournaments at Barberton are two of our (SPA's) top tournaments of 2012,"� Ridge Hooks, the president and CEO of SPA which will conduct over forty senior tournaments in 2012 said. 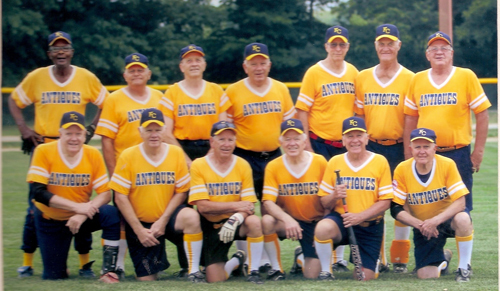 Think about it, there are teams coming from Canada, Texas, Kansas, Iowa, Wisconsin, North Carolina, the mid-west and east coast in ages from 50-to-80 plus. Senior softball is no longer a family reunion game. 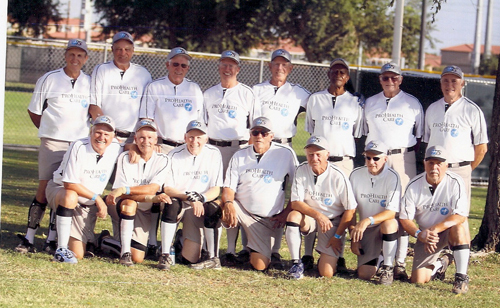 SPA is one of the biggest senior softball organizations in the United States. There are over 700 woman's and men's teams registered with SPA, which includes approximately 15,000 players. 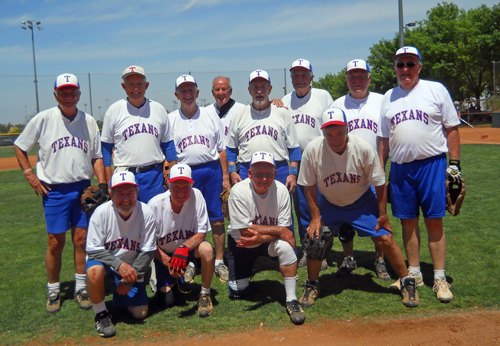 Senior softball is currently the fastest growing senior activity in the world. "Ohio seems to be an outstanding drawing area for senior softball, so we decided to try the 75's Worlds in Barberton this year", Hooks said, It was the right move because the fourteen 75's teams who will be playing in Barberton are the most 75;s we have ever had for any 75's tournament. Teams attending the 75's WORLDS in Barberton are the: Indiana Silver Foxes; Indianapolis Crowns; ProHealth Care (Wis); Texas 75's; Texas Greyhounds; Kansas City Antiques; Syracuse Cyclone 75's; Hamel 75's (Maryland); Louisville Thunder (Ky); Barracuda's (New York); CFI (Mich); Michigan Miller's 75's ; Nami Construction (NJ) and the local Akron 75's. Dates and times for the 75's tournament are June 7, 8. 9 and 10 with games starting at 9:00 and ending at 3:00. All games are played at the Barberton Sports Complex on Wooster Road West. 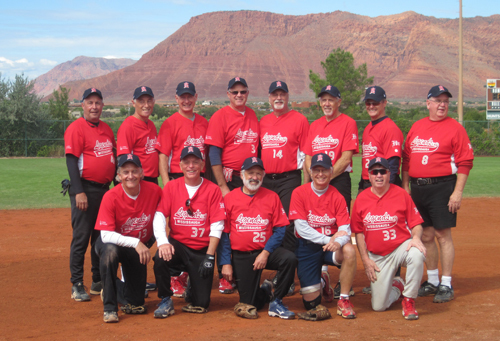 While most non-national senior softball tournaments usually draw around 30-teams, THEE Buckeye Classic is the top attended qualifier east of Nevada and the second biggest tournament of all of SPA's events. When Red Bole and Ho Hoffman took over THEE Buckeye Classic in 2009, they had 24 teams attend. In 2010 fifty-four teams attended and last year the count was 74 teams. This year, despite losing the fourteen 75's to the SPA WORLDS, they will have 68 teams from the 50, 55, 60, 65 and 70 divisions. Local northeast Ohio teams participating are: Brennan's Akron 70's; Pepco Electric 70's (Lakewood); Mitchen's Transportation Service 65's (Akron); Kaiser Permanente 65's (Parma); Northeast Ohio Seniors 60's (Cleveland); Steel Dawgs 60's (Akron); Ohio Silverado's 60's (Mansfield); Buckeye Classics 50's (Uniontown) and Capp's Steel Legends 50's (Rome). The teams are divided into divisions representing both their age and playing ability such as 75AAA or 75AA. The other age groups are 70 AAA and AA; 65 AAA and AA; 60 AAA and AA; 55 AAA and AA; 50 AAA and AA. The 70's divisions are bringing 20 teams to Barberton; the 65's have 14 combatants; 18 teams make up the 60’s while eight 55's and eight 50's round out the field. THEE Buckeye Classic dates are: June 12, 13, 14 (70's); June 15, 16 (60's); June 21, 22 (65's) and June 23, 24 (50's/55's). All games will be played at the four-field Barberton Community Center complex with starting times of 8:30 and approximately ending at 4:30 each day. THEE Buckeye Classic is one of forty-five senior tournaments being conducted nationally by the parent organization (SPA) located in Mustang, Oklahoma. Information on SPA can be obtained by visiting its web page spasoftball.com or contacting the SPA office (405) 376-7034. 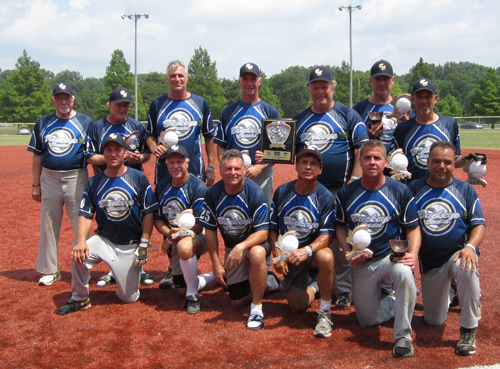 There are five senior softball leagues in the northeast Ohio area. For information on the Akron Silver League go to: akronsilverleaguesoftball.com; for Painesville call (440) 255-1330; for Mayfield call (440) 461-5163; for Maple Heights call (216) 587-9037 and for Parma's Huff N' Puffer League e-mail donald654@centurytel.